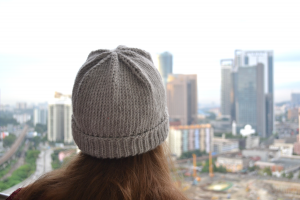 The Simple Hat knitting pattern is a simple design, that goes with all outfits. I always had mine in the bottom of my handbag during our holiday and it was so convenient! Warm, cozy and comfy. It is also perfect to make as a gift. It is very simple so it is an ideal pattern for beginners to try out or perfect your double pointed needles skills. Are you an Indie Designer or Pattern Maker? Do you have a Free Crochet Pattern or Free Knitting Pattern to share? We’d love to it off! All submitted knitting or crochet patterns must be your own creation and they must link to a free pattern. (Free for now and always!). Please provide a high quality photograph showing the finished piece. By submitting your pattern, you give FiberArtsy.com permission to publish your photo on this site and to use it for marketing purposes. FiberArtsy does not share the actual pattern, we provide a link back to the pattern on your website. Submit your free knitting or crochet patterns.